Rumours have ruined the element of surprise. Do you remember an era before all the leaks and rumours became regular? When a company would announce a product for the first time on stage, and it would genuinely wow the audience. Remember when the original iPhone was launched? Or when Sony announced the PS2? Last night, Apple announced the iPhone 7 and 7 Plus and Sony lifted the curtains off the PS4 Slim along with the PS4 Neo, now officially called the PS4 Pro, and both the announcements were in line with everything that was rumoured. So, while my colleagues are writing stories telling you whether the new iPhone is worth it, I would like to to break down the PS4 Slim and PS4 Pro for you. Let’s get the obvious stuff out of the way. Sony is replacing the originally-launched PS4 with PS4 slim. You won't find the 'Slim' tag on any PlayStation box or promotional material. The new PS4 will go on sale in “most regions” from September 15, and will be priced at $299 (Rs. 20,000 approx. directly converted). The console has a matte finish with physical buttons for power and eject. It still has two USB ports on the front, but they aren’t as close together as they were on the original PS4. The placement of the hard drive has changed too, and it is now easier to replace the hard drive when compared to the process on the original PS4. Xbox One X, PS4, PS4 Pro get costlier in India: Does it make sense to buy? Sony PS4 slim all but confirmed. Should you pick up a PS4 today? 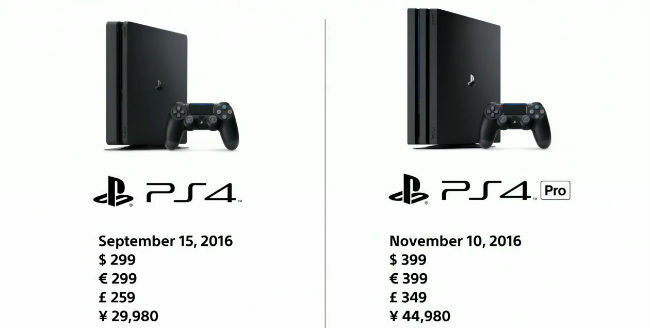 Coming to the PS4 Pro, the console will be available from November 10 in USA, and will be priced at $399 (Rs. 26,000 directly converted). The console will come with 1TB HDD, and will let you play games in 4K HDR. Speaking of HDR, all currently existing PS4 consoles will be able to play HDR videos, via an update. I have been asked a lot of questions about the console since it was announced, so I am going to do my best to answer them and explain this mid-console-cycle refresh to the best of my ability. Two PS4 Slims = PS4 Pro? Well, no. Sony says that the PS4 Pro can output four times the resolution with twice the power, and we will comment on this when we get our hands on the console. When it comes to the design of the PS4 Pro, it does look like two PS4 Slims stacked vertically. 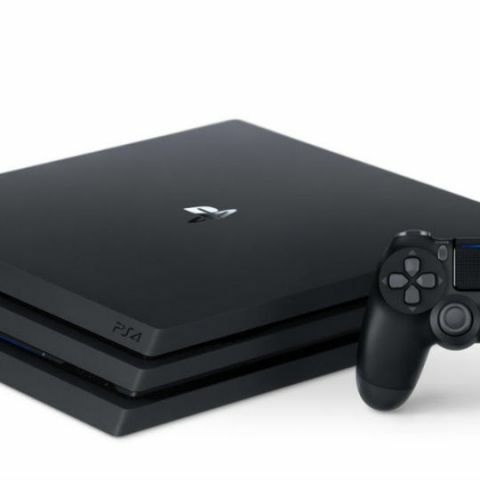 What about the hardware specifications of the PS4 Pro? Main processor: Custom-chip single Processor, CPU: x86-64 AMD "Jaguar," 8 cores, GPU: 4.20 TFLOPS, AMD Radeon based graphics engine, Memory: GDDR5 8GB, Storage size: 1TB, External dimensions: Approx. 295×55×327 mm (width × height × length) (excludes largest projection), Mass: Approx. 3.3 kg, BD/DVD Drive: BD × 6 CAV, DVD × 8 CAV, Input/Output: Super-Speed USB (USB 3.1 Gen.1) port × 3, AUX port × 1, Networking: Ethernet (10BASE-T, 100BASE-TX, 1000BASE-T)×1, IEEE 802.11 a/b/g/n/ac, Bluetooth® 4.0 (LE), Power: AC 100V, 50/60Hz, Power consumption: Max. 310W, Operating temp: 5ºC – 35ºC, AV Output: HDMI out port (supports 4K/HDR) DIGITAL OUT (OPTICAL) port. PS: 4.2 Teraflops is less than what Microsoft claims Project Scorpio can do (6 Teraflops). Will all games be in 4K HDR? It’s a developer decision. All games will not necessarily be in 4K HDR. All the upcoming games will run on both the PS4 and the PS4 Pro, and all games will be forward compatible is what Sony has said. This means that all PS4 games will work on the Pro, even if the game doesn’t support 4K or HDR. Does it make sense for me to buy the Pro, even if I own a 1080p gaming monitor/1080p TV? Technically, yes. It makes sense to buy the Pro if you want better graphical fidelity. Sony explained this with the following example: On Shadow of Mordor running with SSAA (Super Sampling Anti Aliasing), the image is rendered in a resolution higher than 1080p, and represented to the gamer in 1080p. This is just one example, and we will of course give you more information about the gaming fidelity once we get our hands on the console. To quote the PlayStation Blog, “However, even if you own an HDTV that does not support either 4K or HDR, PS4 Pro still provides a number of benefits. All games will run in 1080p resolution, and some will even run in a higher or more stable framerate. 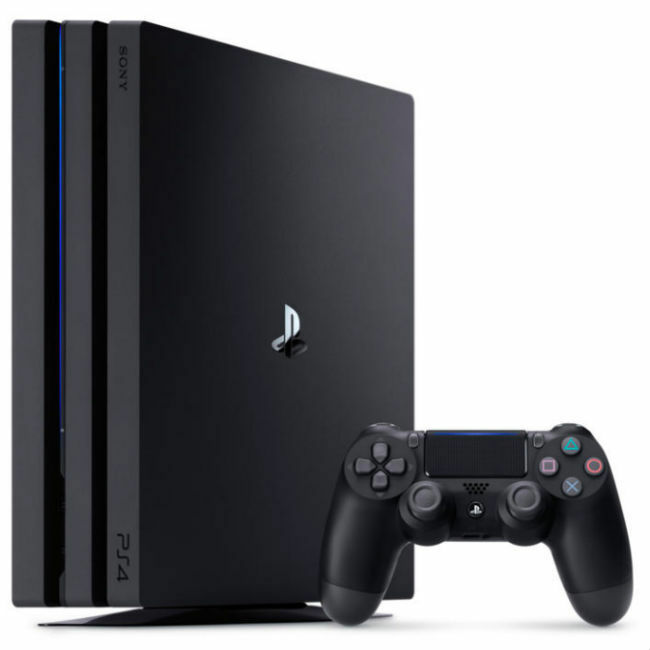 If you’re a gamer that wants to be at the forefront of innovation, PS4 Pro is for you.” This simply means that games will run better on the PS4 Pro, when compared to the original PS4. A piece of advice: If you can afford it, go for the newer hardware. 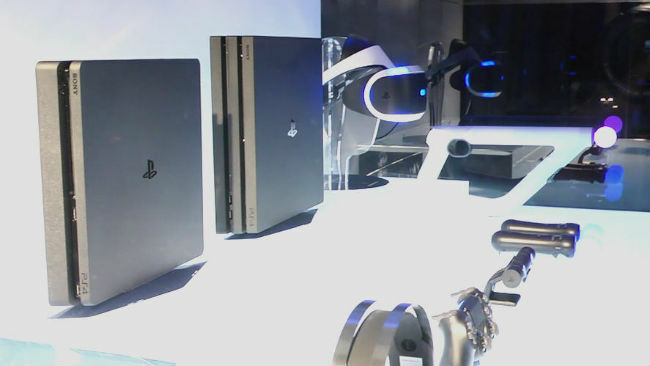 Well, the PS VR will work with both the PS4 and PS4 Pro. Just to give you an example of the difference that gamers will face, Sony spoke of an upcoming PlayStation VR game, Farpoint. The game will get better graphics and will perform better, thanks to the power of the PS4 Pro. With VR games, the fidelity and overall VR performance will also be better on the Pro, thanks to the hardware. Can I watch 4K Blu Ray on the PS4 Pro? No. The system doesn’t support it. But you can watch 4K HDR content from Netflix and YouTube. It’s a little disappointing that the Pro doesn’t support 4K Blu Ray, especially when you consider Sony’s console history. The PS1 played audio CDs, the PS2 had a built-in DVD player, the PS3 was one of the least expensive Blu Ray players, and the PS4 can play 1080p Blu Ray movies. So, exactly why Sony chose to break away from this tradition is bewildering. The only logical explanation is to keep the cost of the console low. Still with us? Damn, you really are contemplating purchasing one of these machines! So here’s the deal; if you are looking to pick up a console today, look for a good deal. The PS4 and Xbox One are still priced upwards of Rs. 30,000 in India, which is just unfair. If you can get your hands on one from abroad, then go for it, and both are great cosoles. Your purchase decision should primarily be based on the games you enjoy. If you like Gears of War, Halo and Forza, then go for the Xbox One. You can consider the old and fat Xbox One only if you get a great deal on it. Just remember, the power brick will need an adapter to work in India (the voltage is different). 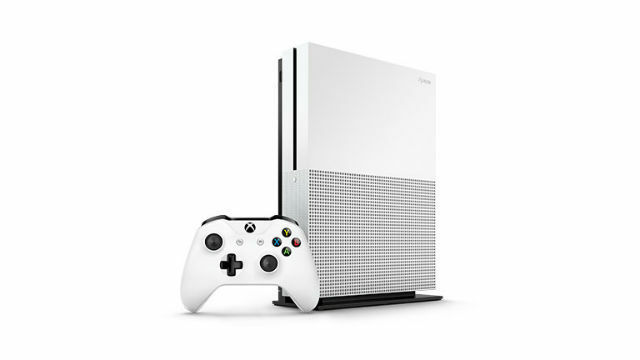 If you can get your hands on the Xbox One S, nothing like it. You will get HDR gaming, which isn’t there on the PS4, along with the ability to watch 4K Blu Rays, another feature missing from the PS4. If you like games like Uncharted, God of War and Ratchet & Clank, then go for a PS4. Again, whether you get the Slim variant or the original version doesn’t matter, since apart from the aesthetics, nothing has changed as far as performance is concerned. Microsoft has teased the Xbox Project Scorpio at E3 2016, with more details to come in 2017. Sony has tried to cash in with the first movers' advantage, and the Pro will be available in November 2016. If you are as impatient as me and want the latest and greatest of the gaming world, then go get the Pro. It will be a good device to own, especially if you don’t own a PS4 and are upgrading from an older gen console. The smart move, however, would be to wait for a library of games to launch that take advantage of the Pro’s capabilities before buying it. If you wait till Microsoft announces the Scorpio, chances are that you may get the PS4 Pro for a much lesser price, internationally. However, a true PS Pro v. Scorpio comparison can be made only when Microsoft gives us some concrete information. Still confused? Okay, this should help. It makes the most amount of sense to purchase one of these consoles internationally. Like I said above, both the PS4 and Xbox One are priced upwards of Rs. 30,000 in India today.